John Ruhlin went from being an Ohio farm boy to becoming the greatest salesperson in Cutco’s 60-year history by build relationships through giving gifts. Today, he’s the founder of The Ruhlin Group and author of the brand new book, Giftology. 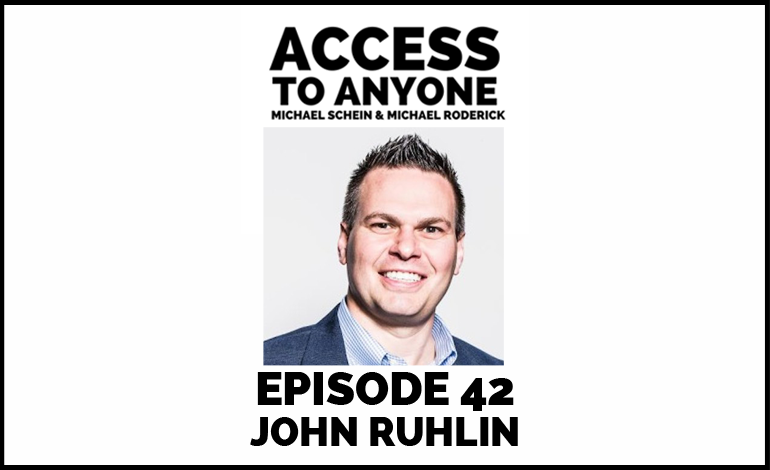 On this episode of Access to Anyone, John talks about the art and science of using gifts to cut through the noise, increase referrals, and strengthen retention. John’s founded his company, The Ruhlin Group, in 2000 and has experienced tremendous growth without ever changing its core mindset. With a focus on major strategy and “minor” details. John and co. have been bringing a guaranteed “wow” to industries such as financial services, manufacturing,, and even pro sports since the organization’s inception.